With most cryptocurrency prices flat today, we looked at some of the bold predictions for 2018. Skye Dunworth, founder of Bitcoin investing platform Spendher, has a Cardano price prediction of $50. From today's Cardano price of $0.33, that's a potential gain of 15,051%. "The scalability and interoperability of Cardano has huge potential. If they can get moving on wider spread implementation, we will see some substantial if not exponential upward movement this year," Dunworth told Finder.com. With tax season on the horizon, Coinbase announced that it was sending tax records of more than 13,000 accounts to the Internal Revenue Service (IRS). The announcement came after the cryptocurrency exchange lost a major court case filed by the tax agency. Anyone who engaged in transactions of more than $20,000 in cryptocurrencies in a calendar year will be subject to IRS scrutiny. Meanwhile, global investment giant BlackRock Inc. (NYSE: BLK) released a bullish report on the cryptocurrency sector on Monday. 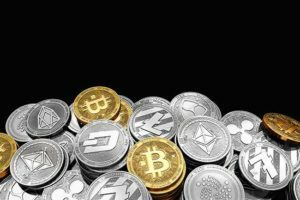 "We see cryptocurrencies potentially becoming more widely used in the future as the market matures," wrote BlackRock's Global Chief Investment Strategist, Richard Turnill. "Yet for now, we believe they should only be considered by those who can stomach potentially complete losses. Similarly, blockchain needs to overcome significant hurdles to reach its promising future." On Tuesday, the market capitalization of the global cryptocurrency sector hit $456.00 billion. Today's top performer in the space was BlockNet, which gained more than 21.3%. The best performers from the top 50 largest cryptocurrencies by market capitalization included DigixDao (up 20.03%), OmiseGo (up 14.98%), Aeternity (up 11.09%), Nano (up 10.81%), Binance Coin (up 8.71%), IOTA (up 8.19%), NEO (up 5.73%), and EOS (up 5.60%). The worst performers from the top 100 largest cryptocurrencies by market capitalization included VeChain (down -6.54%), RChain (down -3.91%), Lisk (down -3.21%), Status (down -3.17%), QTum (down -2.77%), Litecoin (down -2.18%), ICON (down -2.14%), and Verge (down -2.09%). Craig Wright, an Australian investor and businessman who claims to have invented Bitcoin, is being sued by the family of a former business partner for $10 billion in Australian dollars. The family of Dave Kleiman claims that Wright engaged in scheme to steal hundreds of thousands of bitcoins. The odd caveat in this story is that if the court case moves forward, Wright may be forced to provide proof that he is the creator of Bitcoin that he claims to be. The price of Litecoin dipped after delays to the launch of payment-processing system LitePay. The new payment processor decided to delay its consumer roll-out, citing recent decisions by credit card companies to limit the purchase of cryptocurrencies. That drove Litecoin prices down, and the price of LTC is now off more than 10% in a week. However, this appears to be temporary and no reason for concern. There are many reasons to be bullish about the LitePay platform, which will allow businesses to accept Litecoin as payment for products and services on six continents. To learn more about why this is such a game changer, make sure to read this report. I have heard the presentations and read the white paper. Charles and his team can deliver this will take time. The blue prints are impressive. In a market of speculators it’s hard to keep investors focused on fundamentals. This is beyond a doubt an impressive project.